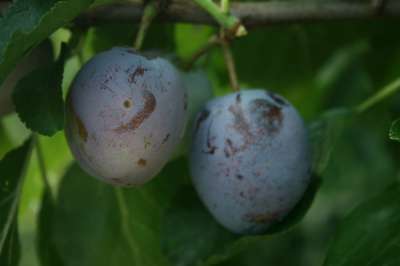 The purple/blue fruits are ready for picking late July and into August. Good flavour, with a juicy golden flesh that is excellent for all culinary purposes. A compact tree. Pollinate with: Czar, Victoria, Pershore, Valor, Opal or Edwards.